Walking club is available for pupils from 3rd to 6th class and takes place in the Summer Term for four weeks. The children go on different route each week building on their fitness, steps and distance. We always meet some of the wonderful wildlife that live in the park along the way. The walks the children went on this year were in the National Park near the school. 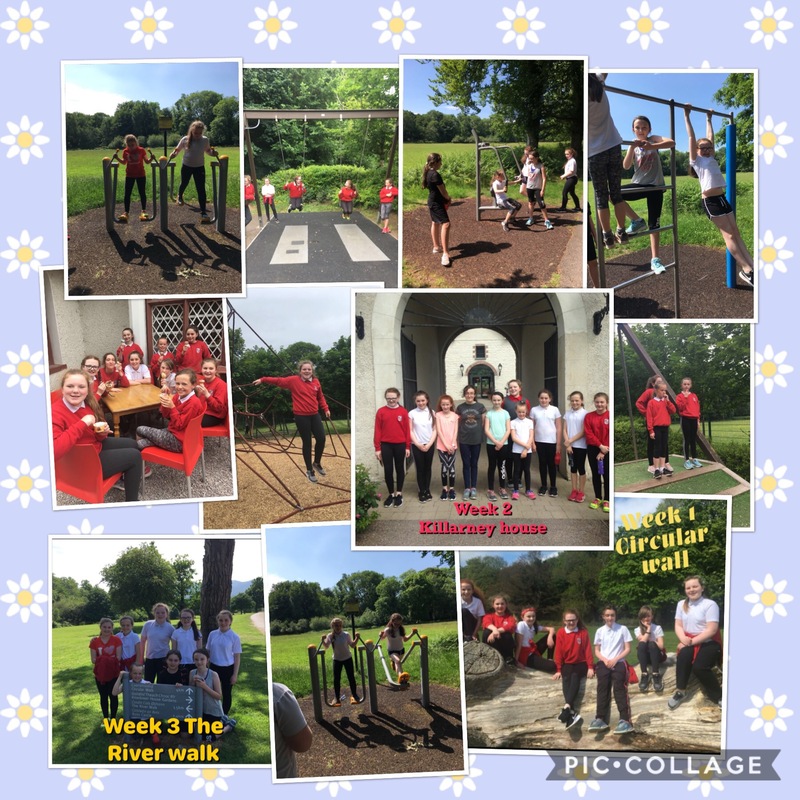 They went on The River Walk, around Killarney House and Gardens, the Circular Walk, Knockreer and on the final week we paid a visit to Deenagh Lodge for Ice-creams, the exercise machines and a we also went to visit the playground.